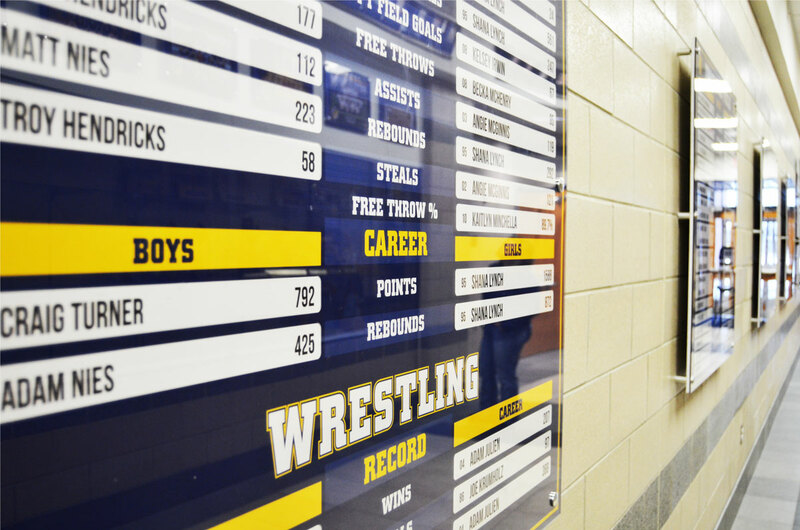 Records are meant to be broken. 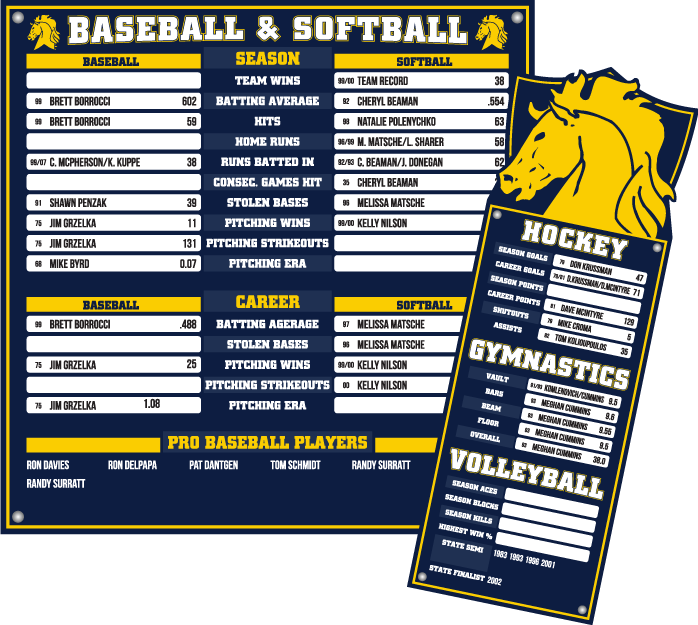 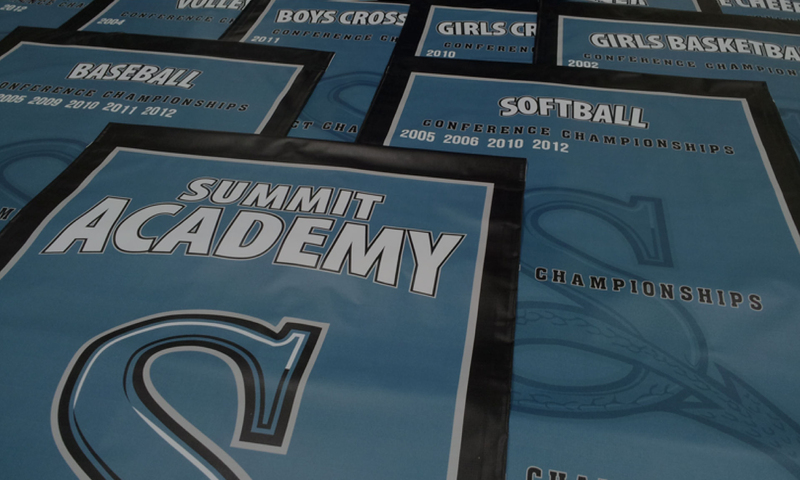 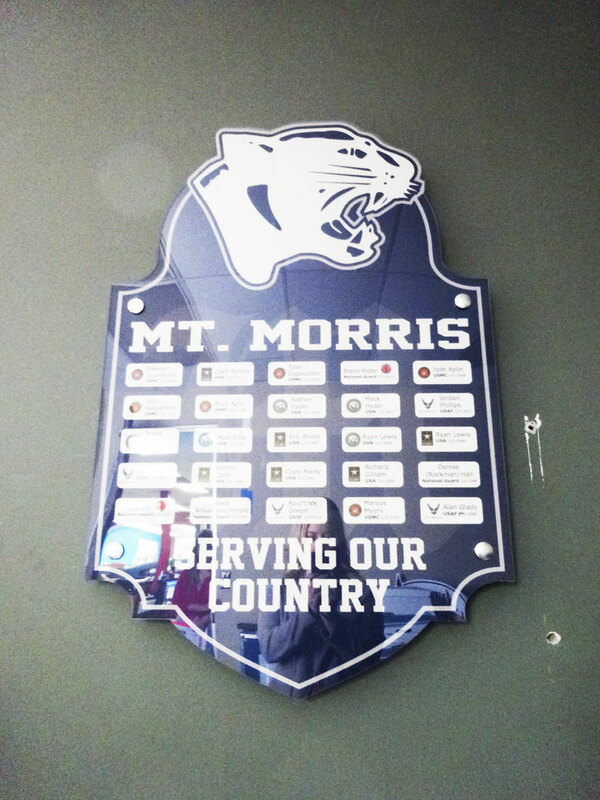 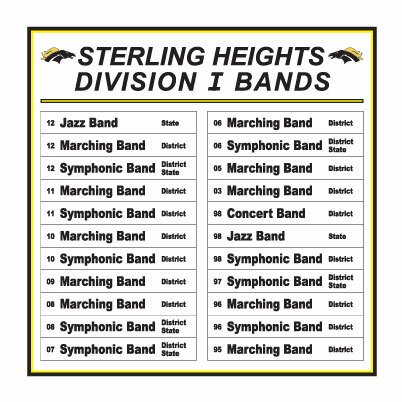 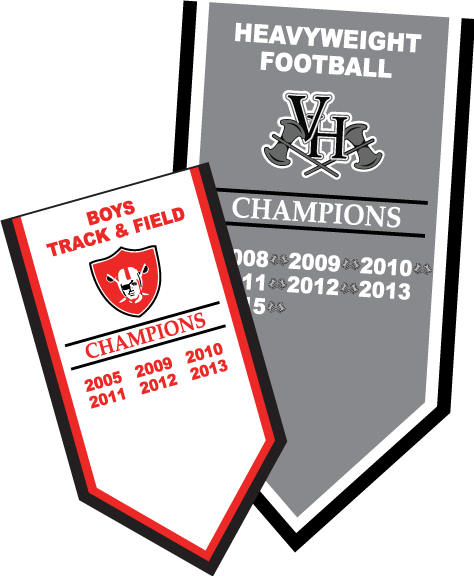 That’s why at Varsity Signs we offer easy change solutions to display the athletic achievements of your students. 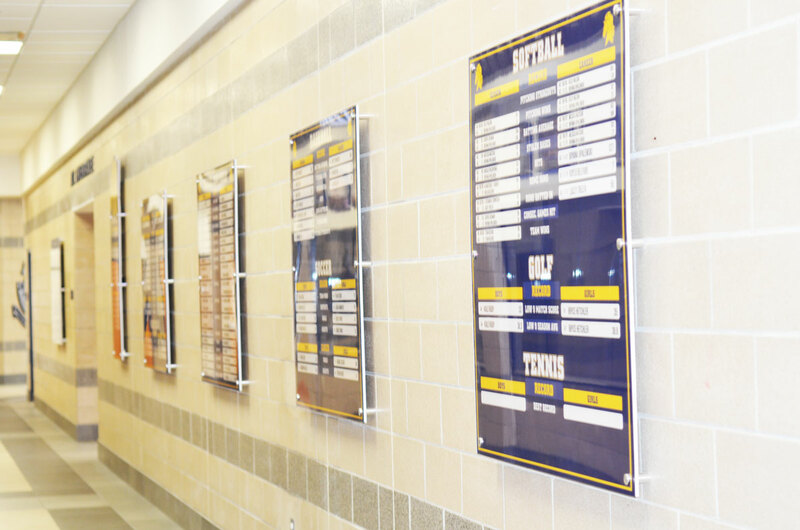 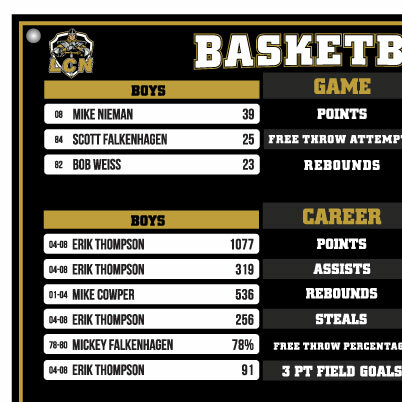 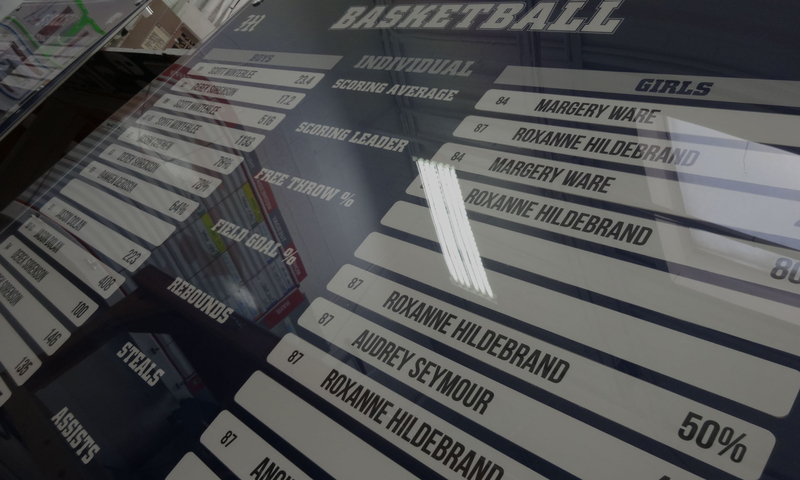 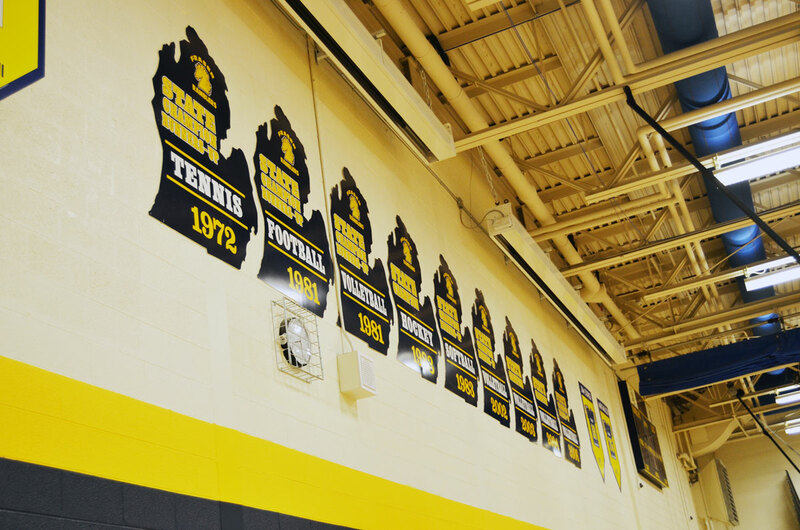 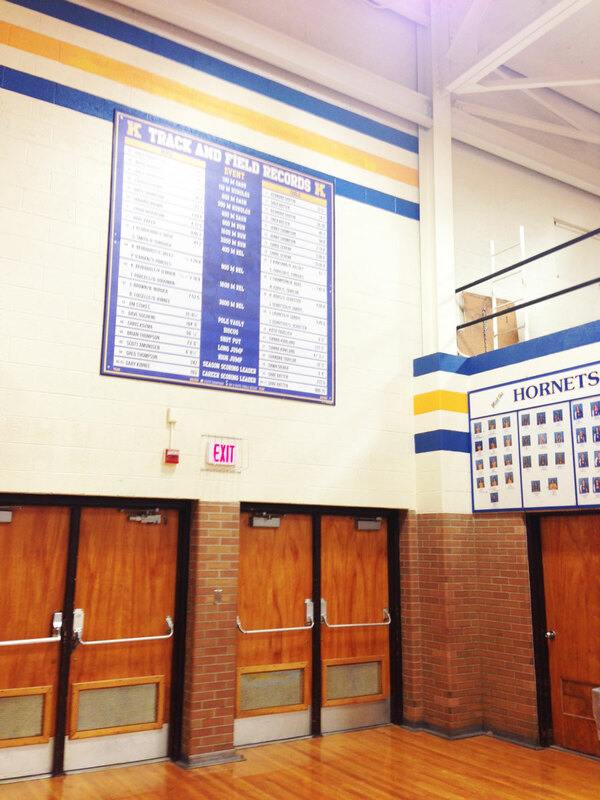 Record boards displayed in the gymnasium or field house are an incredible way to honor your athletes. 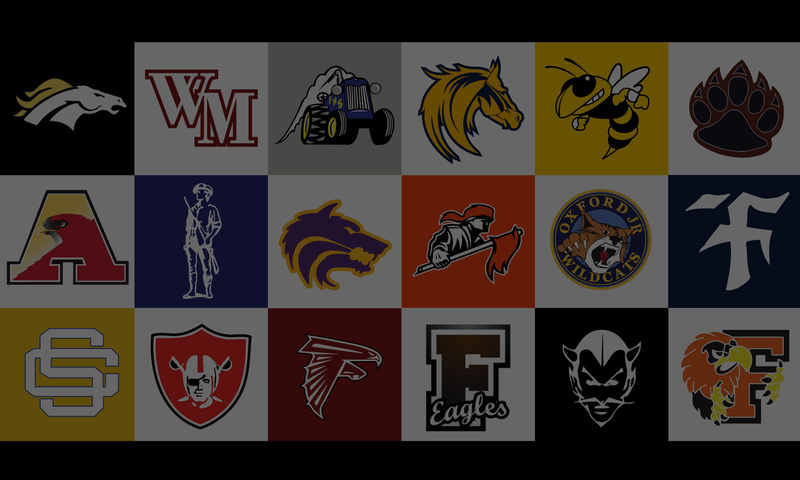 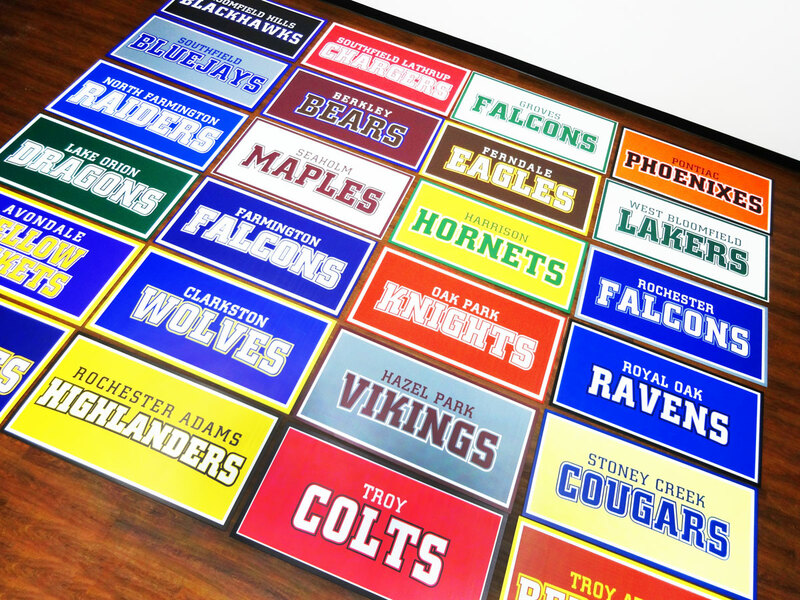 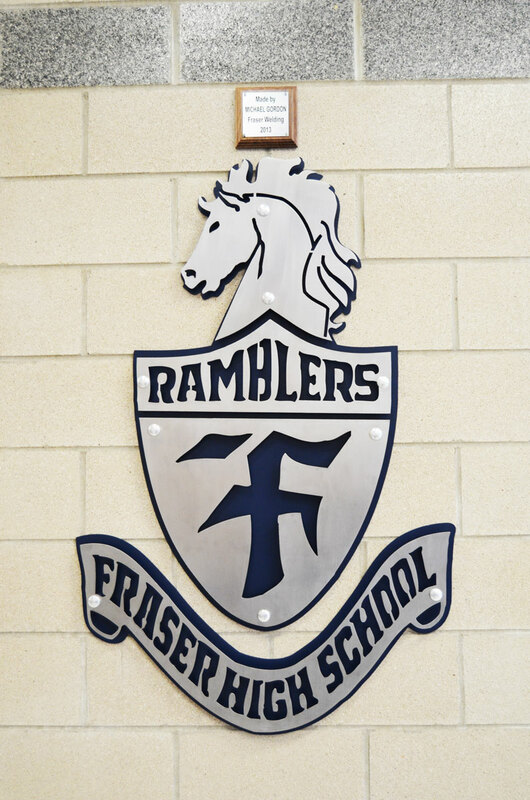 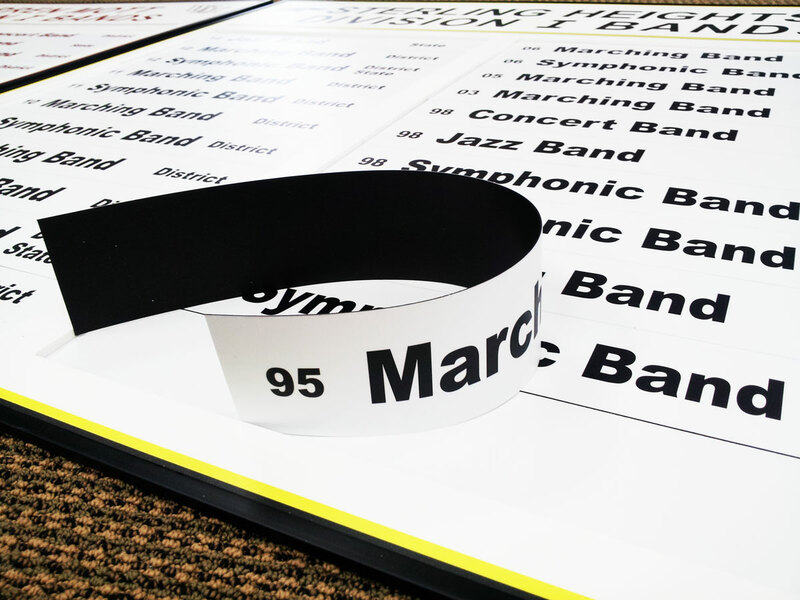 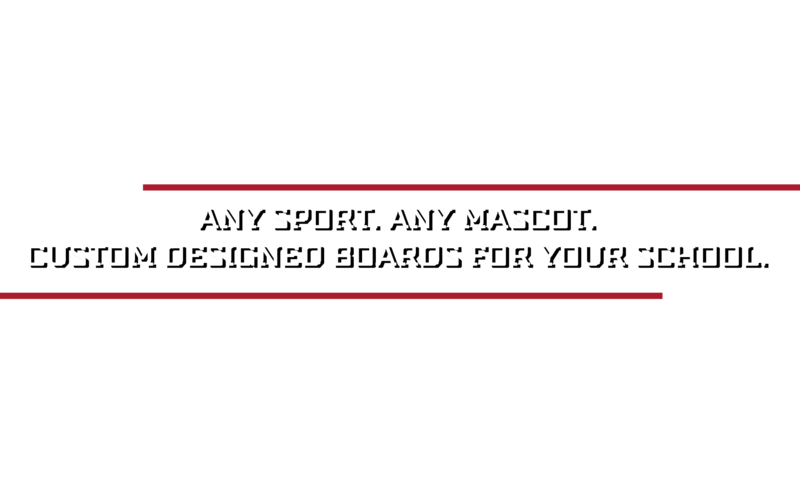 At Varsity Signs we offer custom design services to create boards that are branded to your school. 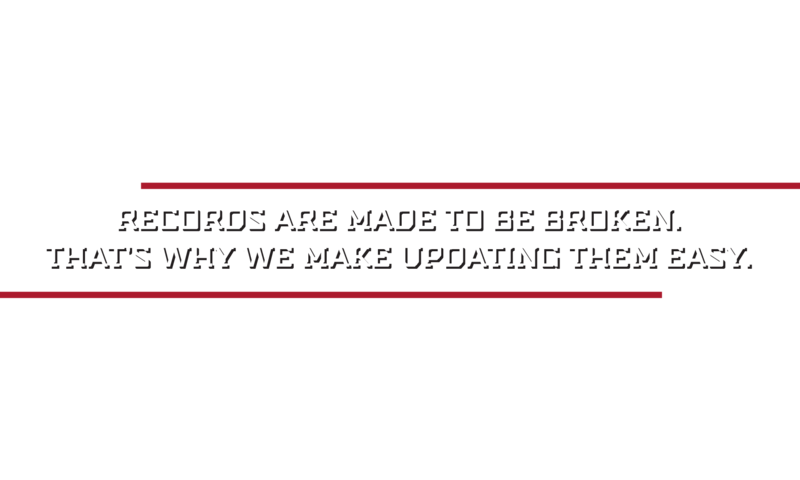 Quick change updates - Never peel vinyl again! 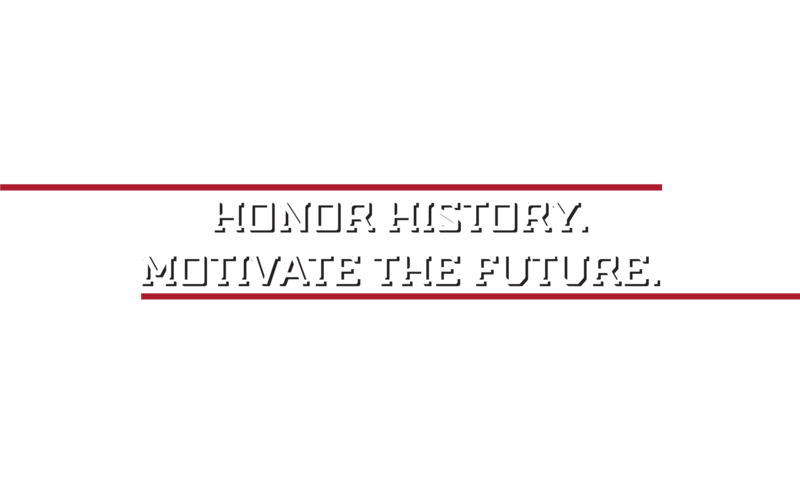 Economic solution with unlimited colors! 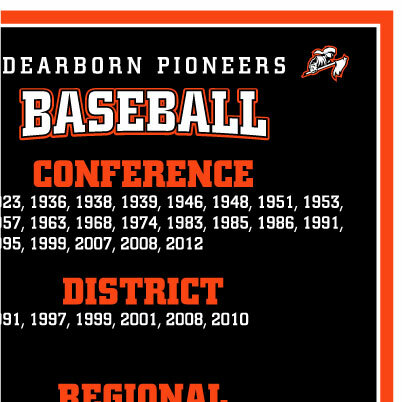 Double your message with a print on both sides! 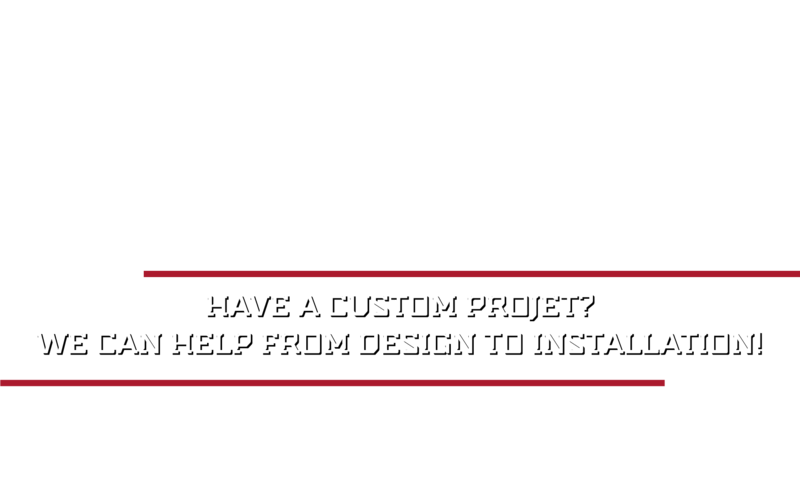 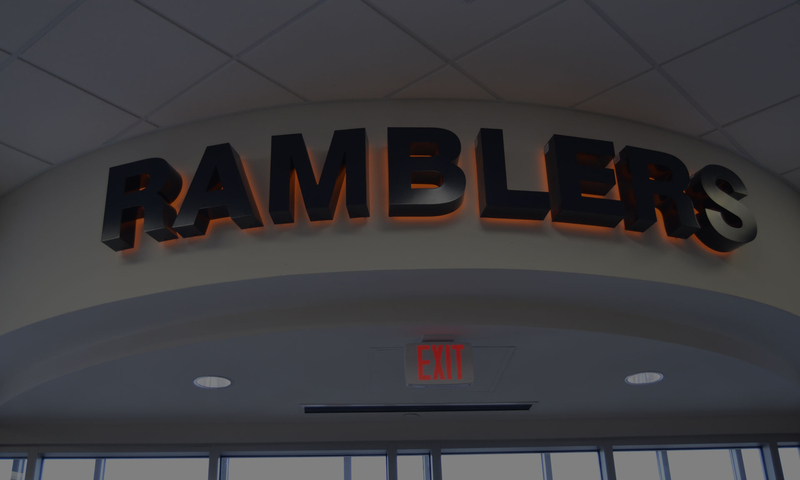 If you have any questions about any of our products, or would like to request a quote, please fill out the form below to speak with one of our experts!